The apartment was ideal for us as we were attending a wedding with our 15 month old granddaughter who is currently in a Spica cast after a hip operation. Space and accessibility was paramount. The apartment was very well equipped and was spotless. Wonderful apartment and Suzanne is the best host ever . 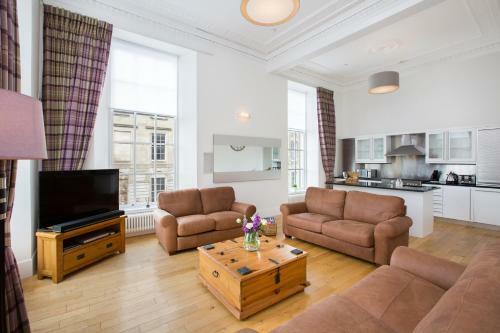 the space in the apartment was superb its proximity to the city centre was ideal suzanne the owner was so obliging, allowing us to check in early and on departure allowing us to leave our luggage in the property until we were due to depart the city. The apartment was amazing. Loved the space, styling, décor, location and the bed was super comfy. The Welcome basket was a lovely touch and much appreciated. Really did feel as special as it looked and it was a fab place to spend a weekend in Glasgow with both of our mums. Stayed in these apartments for a family weekend and wow!! They are amazing! Hugely spacious, very high spec, had everything we needed and more. Fantastic location. Owners very responsive to emails when we had queries. Couldn’t recommend highly enough and can’t wait to stay again! The apartment was fabulous - beautifully designed, spotlessly clean and very spacious. The location was perfect. Very easy access to the city centre, train station, shops. 1 minute walk from Two Fat Ladies for dinner and The Blythewood Hotel for cocktails. Very high spec apartment. Beautiful Christmas tree set up for us. All appliances were top of the range. Very spacious and clean. Duvets and towels beautiful quality. 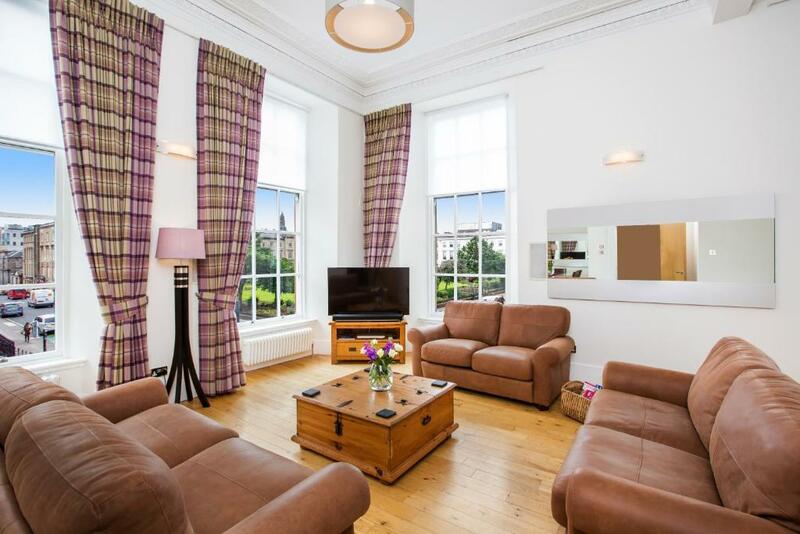 Lock in a great price for Blythswood Square Apartments - rated 9.7 by recent guests. 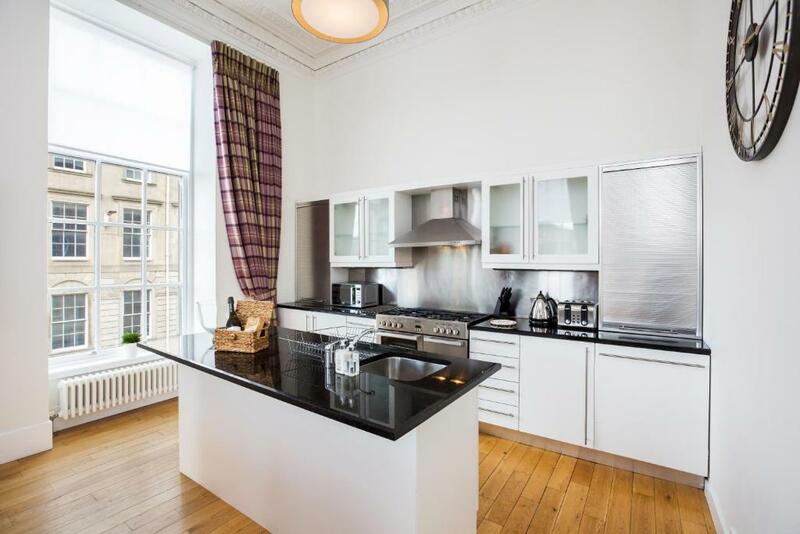 Situated in the heart of Glasgow, Blythswood Square Apartments provides accommodation with free WiFi and a kitchen. Chauffeur transfers can be arranged. All units come with a seating area, a flat-screen TV and a private bathroom with a hair dryer and bath or shower. A dishwasher and oven are also featured, as well as a kettle. 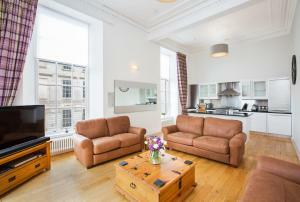 Buchanan Galleries is 650 yards from the apartment, while Royal Concert Hall is 650 yards from the property. Blythswood Square Apartments has been welcoming Booking.com guests since 12 Apr 2017. 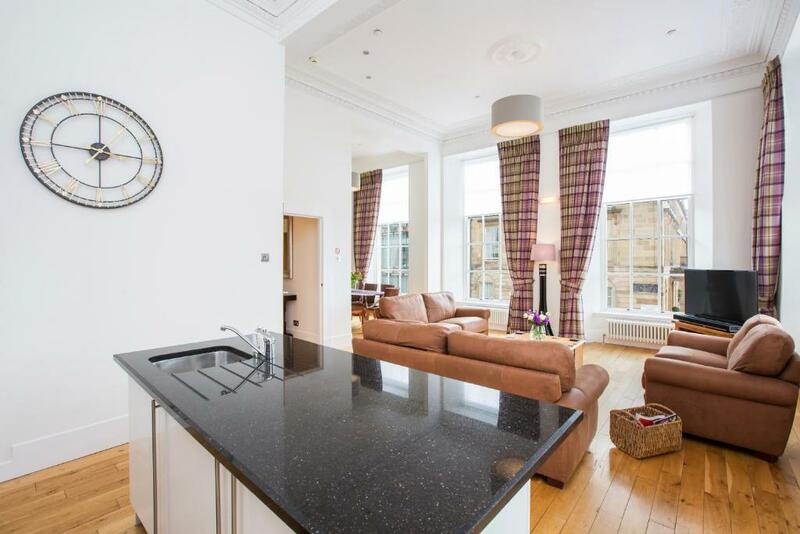 When would you like to stay at Blythswood Square Apartments? This apartment has a microwave, dining area and private entrance. This Apartment is situated on the Ground and Lower Ground floors with internal stairs. The building is accessed by steps from the road. This apartment features a DVD player, patio and tumble dryer. This Apartment is situated on the 1st and 2nd floor with lift access. The building is accessed by steps from the road. 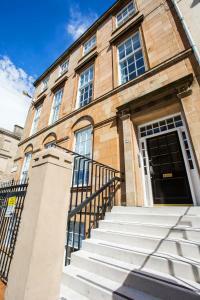 Blythswood Square Apartments are located in a renovated Georgian Townhouse on Blythswood Square, Glasgow. This spacious and luxurious 4 bedroom and 3 bedroom duplex serviced apartments are situated on the 1st and basement for the 3 bedroom apartment and the 1st and 2nd floor for the 4 bedroom duplex. Each apartment has a spacious living room, dining room and kitchen. Together the apartments can accommodate a total of fourteen guests. 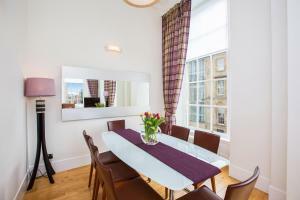 Both apartments boast modern living spaces with plenty of room for entertaining, dinner parties and relaxation. House rules Blythswood Square Apartments takes special requests - add in the next step! 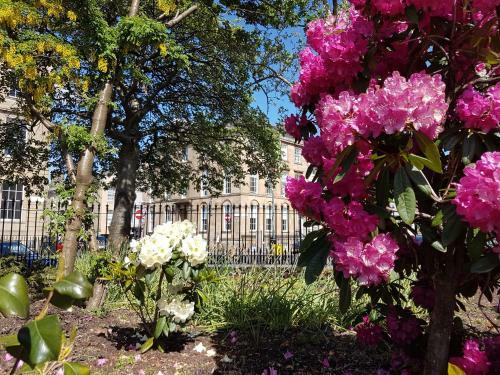 Blythswood Square Apartments accepts these cards and reserves the right to temporarily hold an amount prior to arrival. This Georgian townhouse is accessed by steps to a main foyer. A security deposit of GBP 500 is required at time of booking for incidentals for one apartment and GBP 1000 should you book two apartments. This deposit will be taken from the credit card used to make the booking. The deposit is fully refundable upon check-out and subject to an inspection of the accommodation. Please note the property is in the city centre and guests may occasionally experience noise disturbance from outside. Very comfortable and clean and great location. Street outside and above basement bedrooms was a tad noisy and this could have been pointed out by host at time of booking. Fantastic hosts and loved the thoughtful extras provided. My kids and I had ample room to stretch out - location was extremely convenient. Super clean. Bright natural light. LOVED our visit. Thank you! !